SHARE YOUR VOICE WITH THE WORLD AT THE CLICK OF A BUTTON! WAGGGS has an exciting new partnership with UNICEF to deliver U-Report to Girl Guides and Girl Scouts! 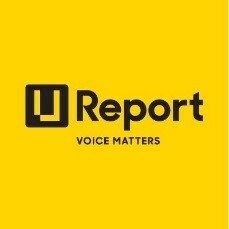 U-Report is a social messaging tool designed by UNICEF’s Global Innovation Centre that gives young people the chance to voice opinions and share solutions about the issues that affect them with each other and key decision makers! It is a way to make a difference to the world by having your voice counted along with millions of other young change makers, all at the click of a button! With U-Report every single Girl Guide and Girl Scout can take part on a conversation designed to capture your experiences and share them with the world! Check out the new U-Report webpage to learn all about it! The way it works is simple! by Direct Message @UReportGlobal on Twitter. They are then invited to answer polls on topics ranging from self-esteem and violence to their views on what needs to be done to meet the Sustainable Development Goals. One poll will be sent per month by WAGGGS, one by WOSM and two by UNICEF. WAGGGS will collect the data to learn more about the priorities and solutions put forward by Girl Guides and Girl Scouts. WAGGGS will use this data to improve their global programmes and ensure these are Relevant, Exciting, Accessible and Learner-Led. WAGGGS will also work to identify advocacy opportunities to share this information with world leaders to better represent the voices of the world’s girls and build the world Girl Guides and Girl Scouts want to see! Help WAGGGS take the voices of 10 million girls to the world’s young change makers, national and world leaders! 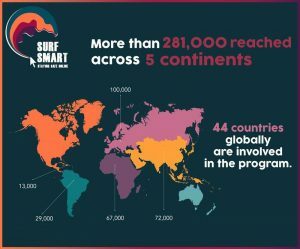 WAGGGS, in partnership with Symantec (one of the largest internet security firms in the world) have developed Surf Smart, a curriculum and badge designed to inform young people about how to connect positively online, protect themselves from online threats and respect their rights and reputation on the internet. The program offers a range of activities for girls and leaders to choose from including the benefits gained from the internet, being safe online including choosing passwords, avatars and keeping things private and finally respect online (including dealing with cyberbullying). There is information for adults as well as further resources. Girls of all ages are now accessing information online, this may be a program that younger girls might like to do with a parent or older girls could use to run a night for a younger age group. Badges are available from the WAGGGS shop HERE.